Not only is September 22nd the first day of fall, it is also National Falls Prevention Awareness Day. 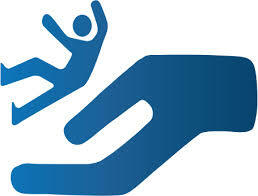 As you may imagine, falls are a common cause of injury, hospitalization, rehab and long term care stays among seniors. At John Knox Village East, it is our duty to help people bounce back from injury and illness and get back to their normal routines, but we’d much rather help people avoid injury altogether. There are many steps people can take to reduce their chance of injury due to falls. One of the best ways to help avoid falls is to participate in programs to help maintain and improve feet and leg strength and balance. Within our independent living setting, we have programs to help keep people strong and well-balanced and avoid falls. Some of these programs are our group fitness programs, our walk across America program and our water aerobics group. Our group fitness and exercise program consists of many different exercises to help keep people healthy and well-balanced. Some of these activities include yoga and tai chi to help with balance and strength. In addition, these programs can help with concentration. We also interject fun into our programs. With our Walk Across America program, participants track their steps and then determine how far across the states they have walked. With each destination reached, we’ll learn something interesting and share a snack from that area of the country. For example, when we reach Boston, we may have some New England clam chowder. Our water aerobics exercises also help with mobility, balance and the water buoyancy helps prevent falls while exercising. In addition to these programs, there are other features that help prevent falls. Some features within our walls that prevent falls are handrails, elevators, improved lighting and being able to access dining, groceries, nursing and other services all without going outside. The ability to walk on even, predictable surfaces with the assistance of handrails and the ability to avoid stairs, if necessary all help keep people from falling. Sometimes falls still happen, however. When residents fall and require rehabilitation services, our goal is always to get them back to their highest level of independence. Our on-site rehab services help achieve this goal. Whether it be delivered within our therapy gym or in apartment, our physical and occupational therapists help return folks to their prior level and give them tips to avoid falling again in the future. Call us at 660-584-4416 or email us at info@johnknoxvillageeast.com to find out how we can help you stay upright and avoid falls.